HAL Laboratory is best known as the creator of Super Smash Bros. and Kirby's Adventure. 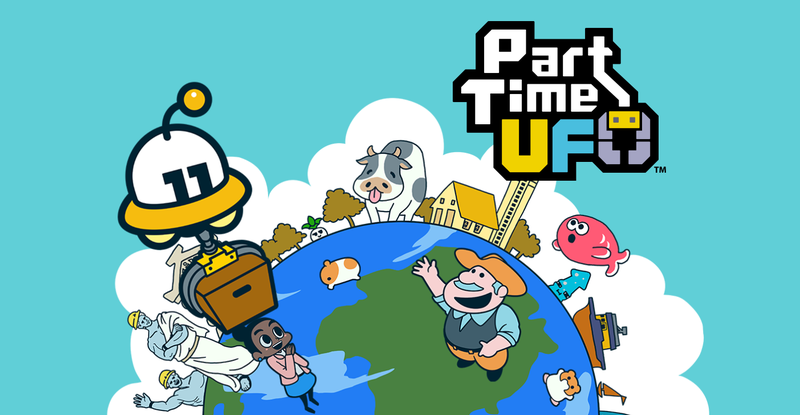 Part Time UFO is their first foray onto Android, and oh boy does it look just as charming as their previous console efforts. You get to play the part of an adorable UFO that has just arrived on Earth in order to help the planet's citizens with its handy extendable claw. Essentially you pick up odd jobs from random non-player characters to then use your claw crane to grab, move, and stack different objects on a designated platform.